As part of the Bradford UNESCO City of Film’s commitment to ensuring as many people from across our home district can join us in experiencing and enjoying the extraordinary film heritage of our City, we are delighted that our partnership with the Yorkshire Film Archive and Bradford Metropolitan District Council Adult and Community Services has resulted in the production of this special edition Memory Bank Bradford DVD reminiscence pack, to be gifted to care homes and support services across our district. 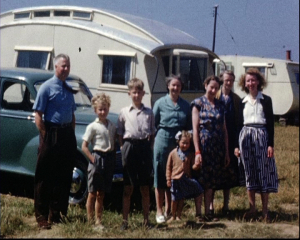 Memory Bank was developed by the Yorkshire Film Archive in conjunction with health-care professionals, carers and families, to provide a complete resource for reminiscence and life story work. It uses archive film footage of local people, places and events to connect the past with the present, to re-discover memories, share stories and simply sit back and enjoy the delights of the films themselves. Further information about the award winning Memory Bank series, with titles including Holidays, Schooldays, Working Lives, Sporting Lives, Domestic Lives, and Fetes, Fairs and Fireworks can be found here. But as a special limited edition, Bradford City of Film and the Yorkshire Film Archive brought their expertise together to create Memory Bank Bradford, which we trust will spark memories for you all – remember the trolleybuses, Kirkgate Market, and sporting highlights at Odsal and Valley Parade? They are all here for you on your Memory Bank DVD, with notes to help you deliver your reminiscence sessions. We are hugely grateful to Bradford MDC Adult and Community Services – their support for Memory Bank Bradford has enabled us to create a lasting resource to be seen, shared and enjoyed by older people across Bradford for years to come.